It almost feels shameful to admit it, but I enjoyed Dan Abnett’s fill in story in Justice League 24 far more than any of the other issues in this run. The story itself is sort of formulaic, it’s very easy to guess what the overall purpose of the issue is. Out of respect, I will refrain from giving away the ending, but I doubt any reader will be genuinely surprised by it. The issue is a tie in to recent events in Aquaman’s book. Atlantis has dethroned Aquaman, and sealed itself away from the outside world. Aquaman has been lost to another realm, while Mera has been exiled. Mera has lost everything. Her husband, her city, and the only friends she had in this dimension. She has been pushed too far, and now she pushes back. Mera has always been an extremely powerful character, with her vast control over water, but very few writers ever chose to emphasize this. There were far too many stories in the 60s and 70s when she waited for Aquaman to come to her aid, instead of using her own innate abilities. 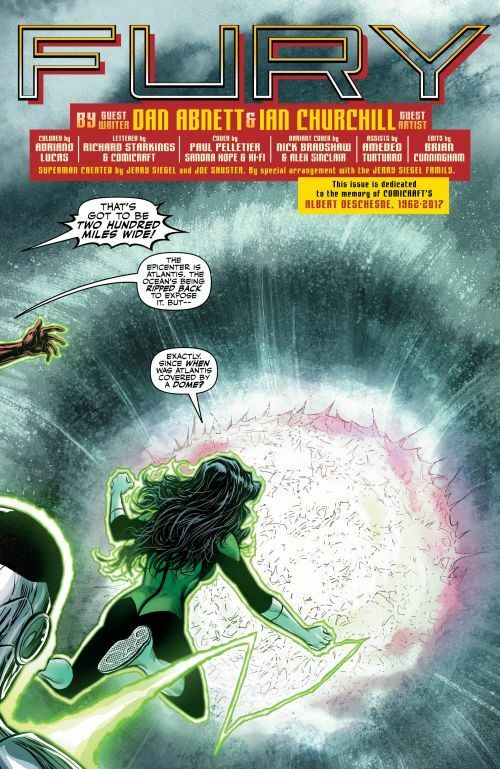 Geoff Johns turned out an excellent issue a couple of years ago, showing just how much of a threat she could be if she really wanted to, and in this story Abnett demonstrates how destructive her rage can be. 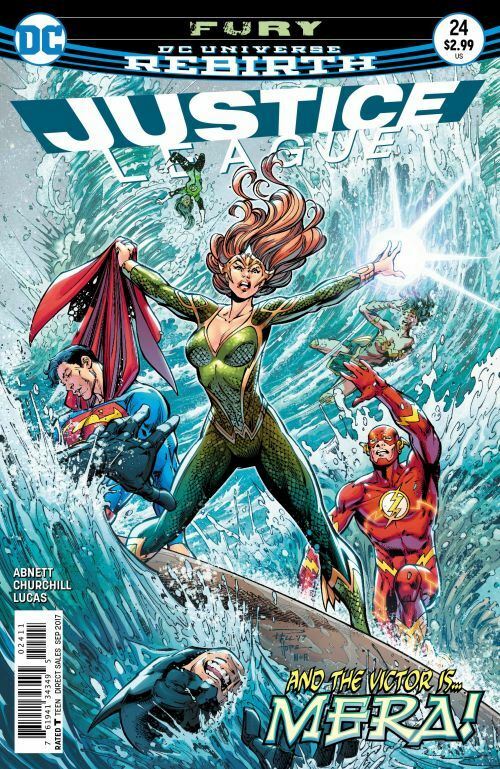 Yes, the Justice League are in this issue, and everyone gets an opportunity to do something, but Mera is the unquestioned star of the show. The events in the story allow the Justice League to learn what has happened to their former partner, and decide how to go forward without him. It’s a good story, if a predictable one.